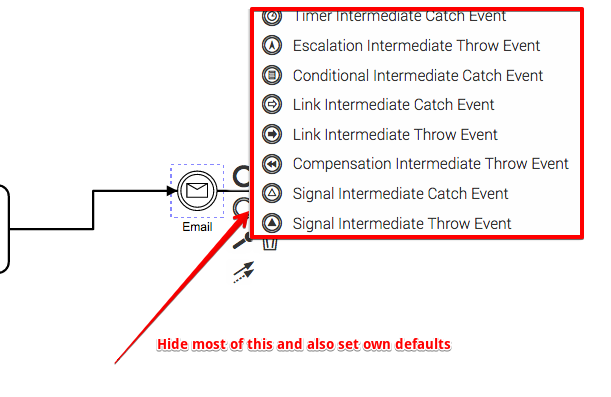 I would like to customize the bpmn tools and keep it lean by hiding/removing the unneeded bpmn options as shown above. Hi Tujger, thanks for your input. I’m trying to understand the code. What instance is popupMenu ? I would like to initialize it to make the example functional. How about the second task? hide the items on left menu?